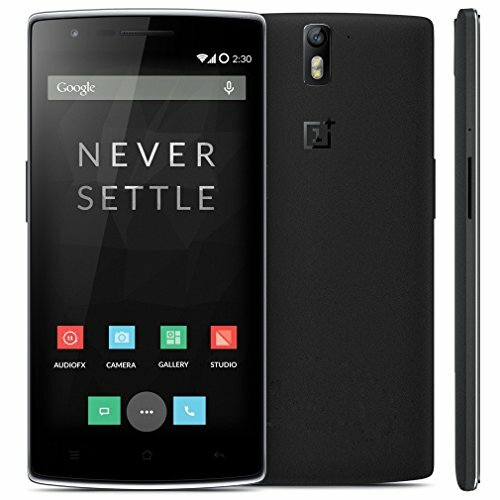 OnePlus One is a powerful phone released in 2014, with a 5.5" display, a high-tech 2500 MHz Quad-Core processor, and two cameras, a 13 megapixels back camera and a 5 megapixels front camera. This cellphone is only available in black color. 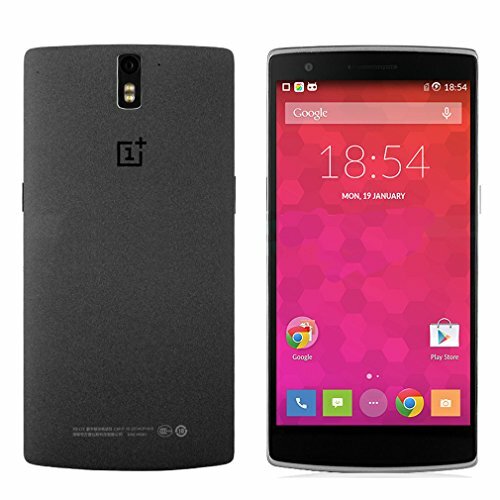 OnePlus did a very nice optimization job making the OnePlus One weight only 5.71 oz. This phone is incredibly thin and good-looking, with a thickness of just 0.35". This phone just has 6.02" long, but it still manages to hold a 5.5 inches display. This phone includes a great 1920 x 1080 (Full HD) 5.5" display, which makes all images and videos look vivid and colorful. This display uses IPS LCD capacitive technology, and allows multi-touch for gestures like pinch and zoom. This phone is powered by an extremely powerful Quad-Core processing unit clocking at 2500 MHz, included in a Qualcomm Snapdragon 801 8974-AC system chip and a huge 3 GB RAM. Graphic intensive tasks usually eats a lot of processing time, so this cellphone also has a 450 megahertz Adreno 330 graphic processing unit to take care of them, leaving the CPU free for other tasks. 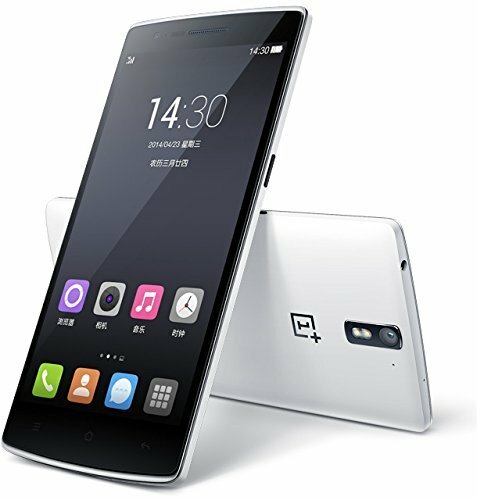 The OnePlus One comes with aquite big 16 GB internal storage and whereas it doesn't have a slot for an SD memory card, it is enough to install hundreds of games and apps, but it probably wouldn't be suitable if you are fan of the heaviest games currently available. This cellphone has two cameras, a 13 megapixels back facing camera and a 5 MP front-facing camera. Though it's 13 MP might sound incredible the back facing camera has a small 0.326797 inches sensor which makes photographs be less detailed and darker than you would expect. It is capable of capturing 4K 3840x2160 videos at 120 fps. The camera also includes flash and auto-focus. This device provides wi-fi capability (which can be shared with other devices acting as a router), 4G LTE high performance connectivity or 3G data connection, supported by UMTS and EDGE technologies. This cellphone uses a Micro SIM card for GSM connection. This device also includes some interesting features like Bluetooth (4.0), GPS Navigation and NFC (to trigger actions, transfer data or make payments by holding your phone close to another NFC device or tag), and multiple sensors like Light Sensor, Proximity Sensor, Accelerometer, Gyroscope and Compass. 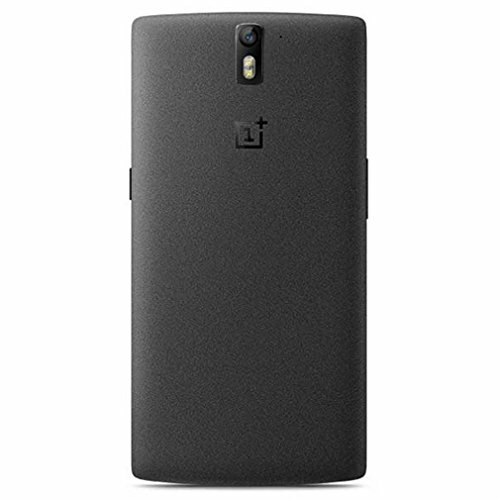 The OnePlus One packs a huge 3100 mAh Li-Polymer removable battery, enough to provide the OnePlus One with an incredible battery duration. 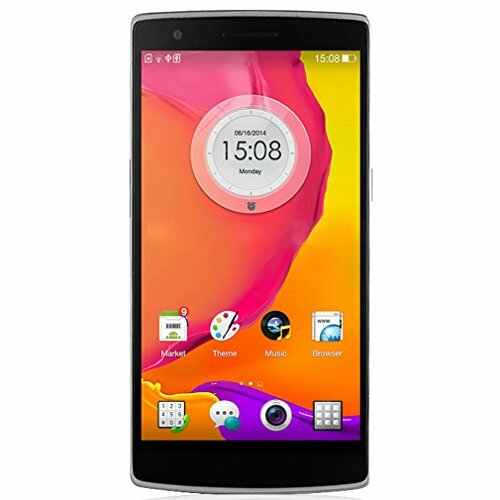 This cellphone is a great choice considering it's a fabulous device and it just costs $ 355. No matter if you love photography, want a gaming device, want a cellphone for work or are looking for a social cellphone, you will probably be very satisfied with it.